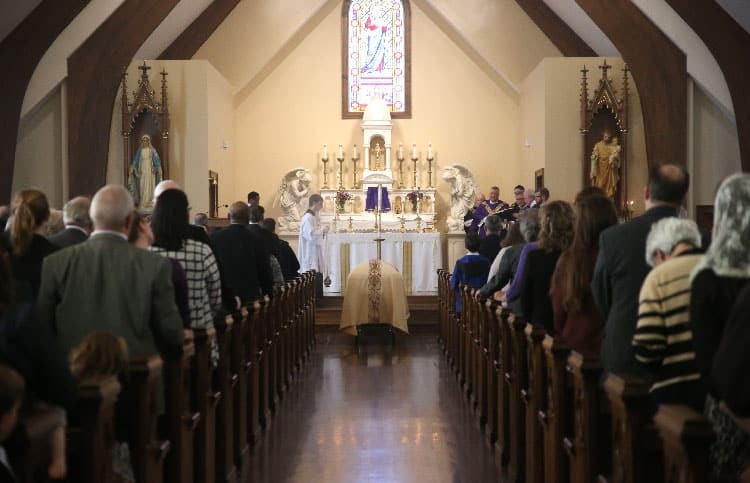 Hundreds of family, friends, and alumni of Christendom College attended the funeral Mass of Dr. Kristin Popik Burns, a founding faculty member of Christendom College, on April 6. Burns, who was a wife, mother, and faithful life-long Catholic, passed away on April 1. 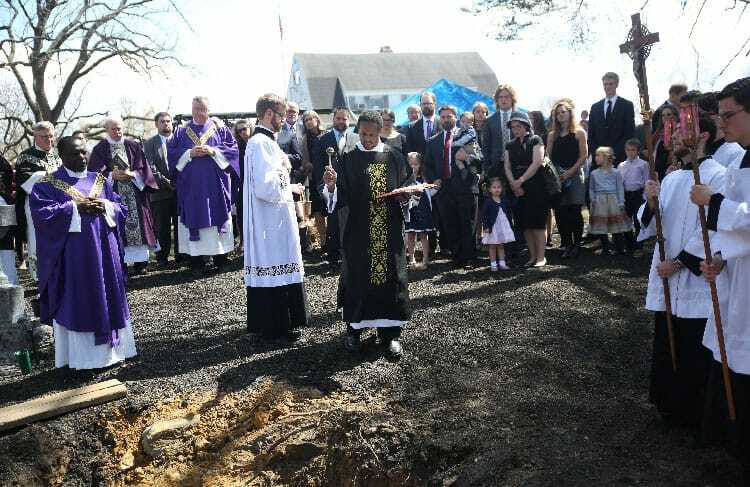 Burns was dean of Christendom’s graduate school for almost 15 years, resulting in many graduate school alumni traveling from across the United States to join her family and friends at the funeral. Christendom chaplain Fr. Marcus Pollard celebrated the Mass and praised Burns for her simplicity, her directness, and the depth of her faith. Fr. Pollard spoke at length of Burns’ character, from her no-nonsense attitude to her deep love for family, friends, and Christ. While others might have balked at the risks of trying to found a Catholic liberal arts college in the 1970s, Burns jumped at the opportunity — a testament to how she lived her life constantly, no matter the situation. Even while fighting a battle with cancer for six years, she never wavered in her spiritual life, but instead fell deeper in love with the Church, revealing the faith that sustained her for 69 years. 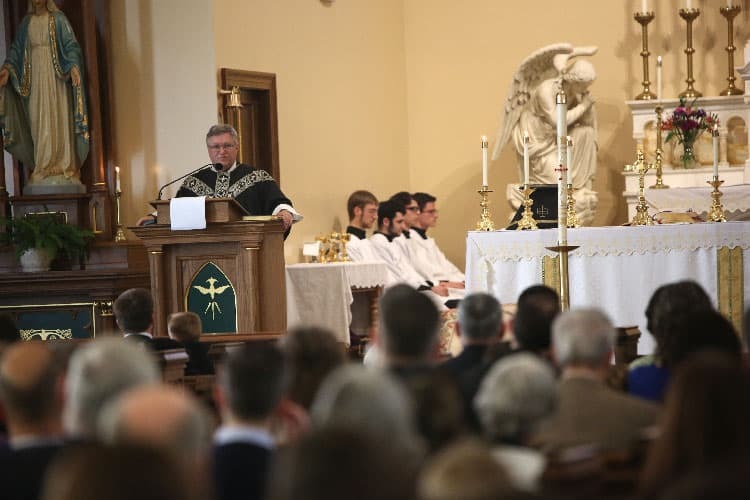 Watch the full homily here. 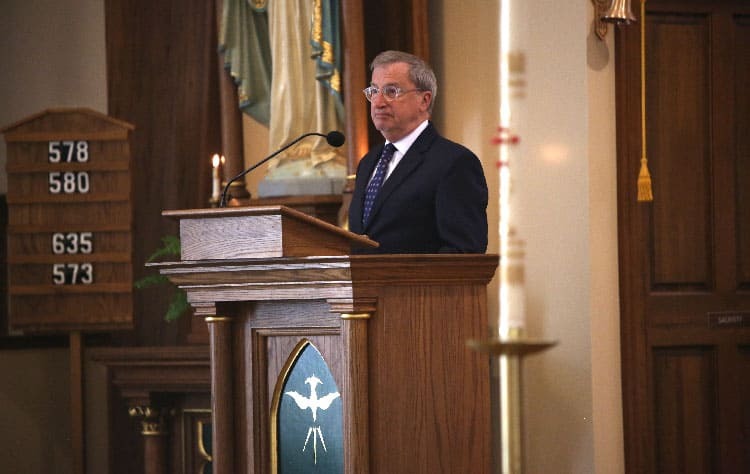 After the Mass, Burns’ husband, Michael, delivered remarks to those gathered for the funeral. Watch the full closing remarks here. 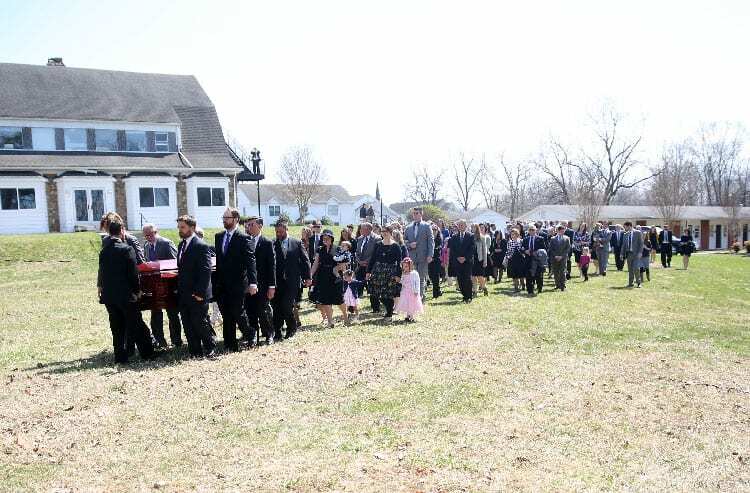 Following the funeral ceremonies, Burns’ casket was processed from Christendom’s Christ the King Chapel to the Founders’ Graveyard, located at one of the college’s Shenandoah River overlooks. 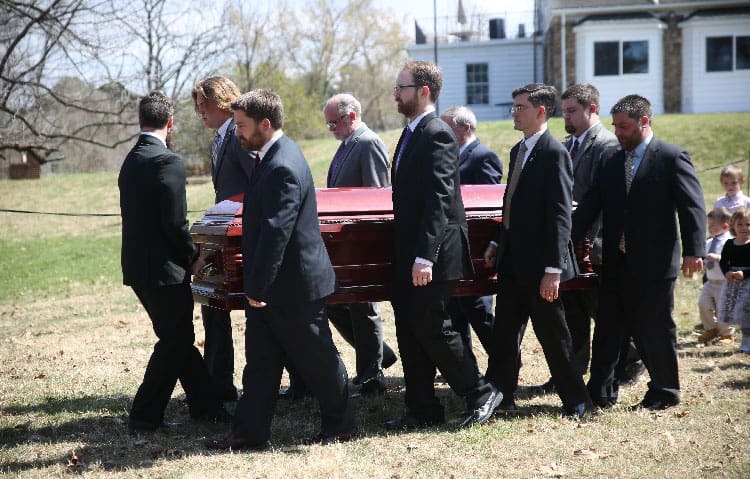 There, family and friends said their last goodbyes to Burns, paying tribute to a woman that truly changed the course of history during her lifetime. Burns is now buried next to college founder Dr. Warren H. Carroll. In the 1970s, he asked her to take a chance and join the founding faculty of a college he had dreamed up. She did just that, becoming that “one woman who made a difference” and bringing Christendom to life as a result. Burns lived a full life, leaving behind an incredible legacy. Her children are all alumni of the college she helped found, along with many of her nieces and nephews. Christendom encourages all students, faculty, staff, alumni, and visitors to the college to visit the Founders’ Graveyard whenever possible, praying for Dr. Burns and Dr. Carroll and thanking them for the gifts they provided to so many through founding Christendom College. Read tributes to Dr. Burns here. 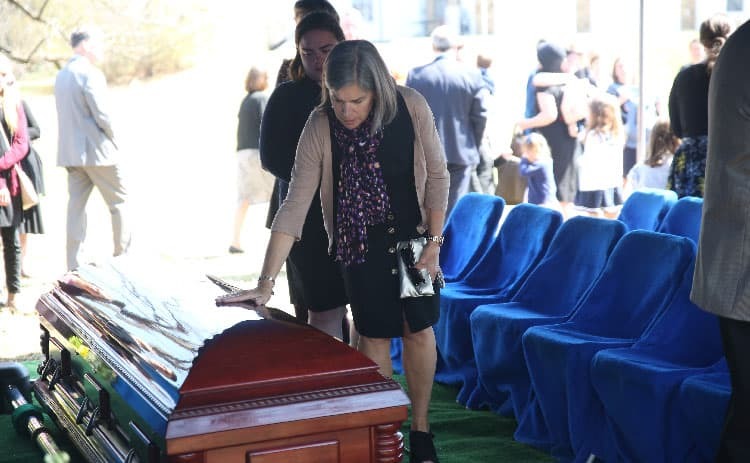 See more pictures from the wake, funeral, and burial here.